Welcome to the Nullawarre and District Primary School website. We hope you enjoy looking through our website and getting to know more about our school and why we love it. My name is Linda Mooseek and I was appointed as the Principal of Nullawarre and District Primary School at the beginning of the 2015 school year. When I became the Principal one of my goals was to develop the school into a large family. A family where high expectations are held, we commit to our values and we look after each after. At NDPS we value a learning community where all children can flourish and be challenged, learning to problem solve and pursue excellence in all that they do. At all levels we have a collaborative teaching and learning environment based on the premise of high expectations for all. Our staff are committed and passionate about the education of the students within our school. This philosophy is epitomised by the high standards our students achieve. The school’s educational philosophy is based around the concept of laying the ‘Foundations for Success’ and making a ‘Positive Difference’ to the lives of every student. To achieve this, it is important to discover the individual talents of each child, to put students in an environment where they want to learn and where they can discover their true passion. Visitors to the school always comment on how well behaved and mannered our students are. Our School Purpose is to provide a stimulating, values based learning environment that develops educated and socially competent lifelong learners, capable of achieving success in a global society. To achieve our purpose we demonstrate and promote the five values of the Tribes Agreements: Mutual Respect, Attentive Listening, Appreciations – non put-downs, Right to Pass and Right to Participate, and Personal Best, which are central to the life of our school. Our values provide the focus for our holistic approach to student well-being to ensure all students are safe and engaged in our school. We work closely with our on-site Kindergarten where the children are regularly working with our Foundation students. A Buddy System is also developed to assist new children enrolled at the school. This approach reinforces the school values and promotes teamwork and empathy across the school. A strong commitment to the processes of restorative practices underpins the importance we place on positive relationships between all community members. We have developed a rich whole school curriculum based on AUSVELS which includes a consistent approach to the teaching of Literacy, Numeracy, Science and Inquiry Learning. We aim to identify individual student needs and differentiate learning activities to meet these needs utilising a range of information and communication technologies to enhance the learning program. 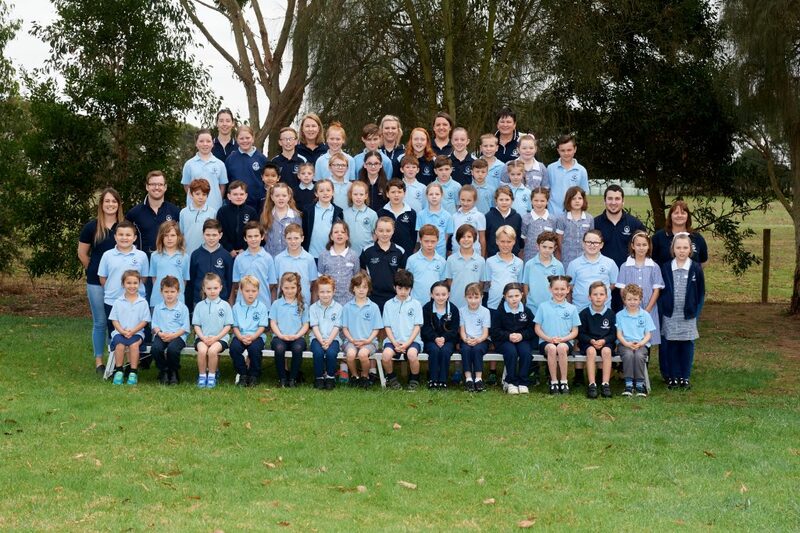 Students are given opportunities to participate in extra-curricular programs including Drama, Music, State School Spectacular, Japanese, Sporting Clinics, Swimming, Organic Garden, Public Speaking, and an extensive outdoor education camping program for all children in years 2-6. Our student leadership program has been extended to include a variety of roles for our senior students enabling them to access authentic leadership responsibilities. We want our students to be informed and empowered through student voice and choice.